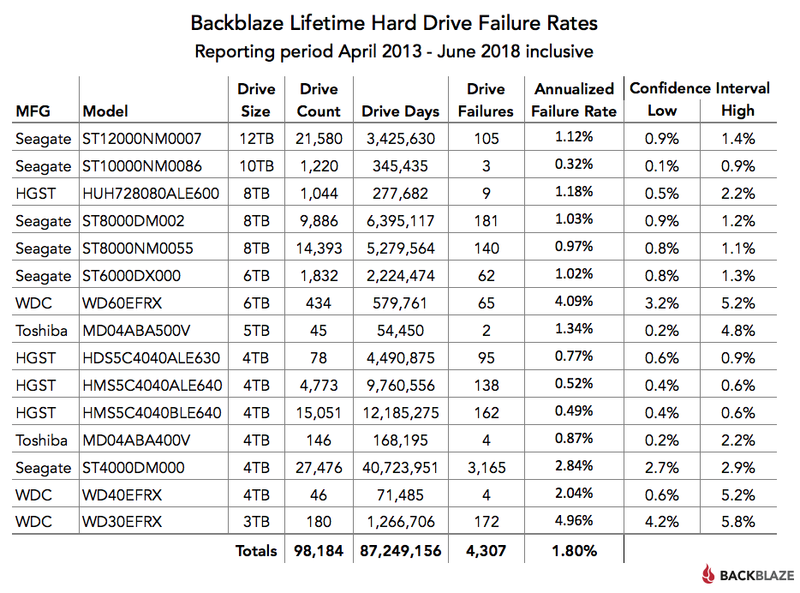 It’s that time again, the Q2 Stats for Backblaze are out, and there’s a ton of information in there, with them adding another 40 Petabytes of data. After reading all the data, The best on their report is the Seagate 10TB model with a failure rate of just 0.32%, That’s just 3 dying with over 1200 in action. But that’s not the whole story, because there is another 10TB model from Seagate that has a 1.2%, So that’s not all good then. What’s my opinion, Is that we should just average the manufacturers, Because you can still get a bad hard drive out of any model, So to lower your total chance of failure, go with the manufacturer with the least failure. which is…..
Hitachi – Again, Hitachi wins out again. the Hitachi models consistently have less than a 1% failure rate amongst all models in their range in the 4TB sizes, Which just shows some good workmanship.